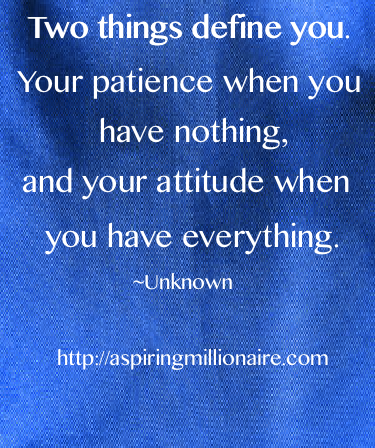 Aspiring millionaire: Motivation Monday - What is motivating you this week? Motivation Monday - What is motivating you this week? This week has been a roller coaster of emotion and events. After the car accident there were issues getting in contact with the other party and the police gave me incorrect information, so I had to get that sorted. Although they did tell me she got an official warning and I have since been able to make contact with her. My insurance it turns out was canceled last year (not by me! ), as apparently my car was sold, so I am not currently insured. That is being investigated but currently it leaves me to sort out the mess AND with existing damage my car cannot be insured! I don't want to drive it around at all uninsured. I had a lot of things I had to deal with surrounding some pretty traumatic events from my past so this week I felt was pretty much a write off. Oh, and throw in no internet so I couldn't even throw myself into work to distract myself. Not good. With that my main motivation this week has come through my family and my partner. My little sister took me to Sydney to have some family photos done. This has been on my list forever and I really appreciated it. My big sister listened to me whinge and whine. My partner was just perfect with his help and advice, as always. And of course the rest of my family were there in different ways too. I don't remember where I heard this, but it hit home. As bad as things can be, it is up to us, our attitude and how we choose to respond or what action we choose to take that ultimately decides how hard it is. Complaining, whinging, looking at the negative and not looking for a solution is going to make things a lot harder than they need to be. You know the saying, patience is a virtue? Being patient, focusing on an attitude of gratitude and looking for the positive will help you to cope but also define you as a person. 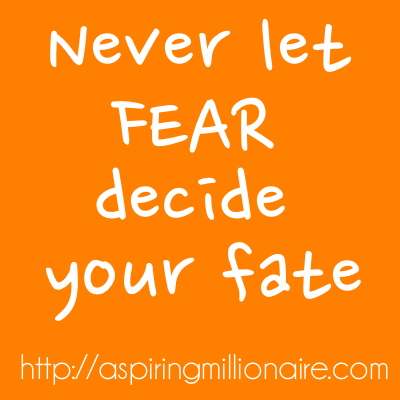 Lastly, never let fear decide your fate. Feel the fear and do it anyway! FEAR = False Evidence Appearing Real. We get scared of so many things when we don't need to be. Instead of allowing fear to take over, think about what you are scared of, why you are afraid and what can you do to overcome that fear? It sounds silly, but having positive thoughts and looking for the positive in all situations really does make a difference. I was someone that thought being positive was a joke. But I've experienced first hand that I am a happy person that doesn't get stressed very much. In fact, I've gotten to the point that when bad things happen to me, I am able to shrug them off and keep pushing forward. Granted, I'm not perfect when it comes to this, but I am in a much better mindset which makes life a lot easier. Sorry to hear about the bad week. 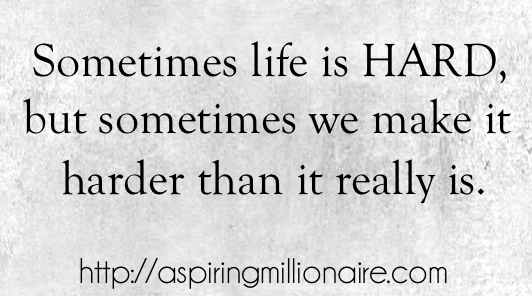 Hopefully this week turns out much better for you. I think the bad times make us appreciate the good times even more. Sometimes "when it rains, it pours." Seems lots of negative events happen in succession. You've got the right mentality to keep pushing through though. Things will get better! @Don - it really does. Positive thinking can change so much. It is great you've gotten to that point. @Money Beagle - the bad times do make you appreciate the good better. I try to focus on the positive and not the negative, that's not always easy to do. Sometimes it takes a little effort to find the positive in every situation but it is there if you take the time to look for it!